Teen Adolescent Obesity - Learn About The Risks! Childhood and adolescent obesity is an epidemic in the United States. The latest statistics from the U.S Surgeon General are sobering. They show that more than 12.5 million children and adolescents aged 2 to 19 are overweight. And these numbers are on the rise. As a result, growing numbers of children and teens are at increased risk for diseases traditionally seen only in adults, including heart disease and type 2 diabetes. Despite the soaring rates of adolescent obesity, weight loss surgery in adolescents remains uncommon. The number of adolescents undergoing weight loss surgery more than tripled between 2000 and 2003, but these surgeries are still relatively rare in adolescents. In fact, teens represent less than 1 percent of weight loss surgery patients, according to a report in the March 2007 issue of Archives of Pediatrics & Adolescent Medicine. Some doctors will recommend this surgery if a child’s weight poses a greater health threat than the potential risks of the surgery. Risks of adolescent obesity include diabetes, high blood pressure, joint problems, liver problems, lung and breathing issues and increasing pressure in the brain that can cause vision impairment or blindness. When Is Weight Loss Surgery the Answer to Adolescent Obesity? Weight loss surgery is not a panacea for obesity in teens. There are many unknowns. No studies document the long-term effects of weight loss surgery on a child’s future growth and development. What’s more, weight loss surgery does not guarantee that an adolescent will lose all of his or her excess weight and/or keep it off long-term. Weight loss surgery also doesn’t replace the long-term need for a healthy diet and regular physical activity. If weight loss surgery is deemed an option for an adolescent, he or she should be referred to centers with multidisciplinary weight management teams. These teams should include specialists in adolescent obesity evaluation and management, such as psychologists, nutritionists, physical activity instructors and weight loss surgeons. Additional expertise in adolescent medicine, endocrinology, pulmonology, gastroenterology, cardiology and orthopedics may be helpful, too. Exactly when an adolescent should undergo weight loss surgery is controversial. 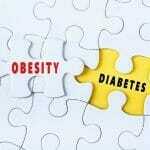 It depends on the severity of obesity-related health problems faced by the individual patients. This individualized decision should be made on a case-by-case basis with the medical team. Have failed six or more months of organized attempts at weight management. This should be determined with the assistance of a doctor. Have attained or nearly attained physiologic or skeletal maturity. This generally occurs at age 13 or older for girls and at age 15 or older for boys. Agree to avoid pregnancy for at least one year after surgery. Pregnancies are safe after weight loss surgery, but reliable contraception should be used for at least the first year after the operation due to increased risk to the developing fetus posed by the rapid weight loss. After the period of rapid weight loss is over, pregnancies should be carefully planned and monitored. Be capable of and willing to adhere to a strict bariatric surgery nutrition program following your operation. For example, after gastric bypass surgery, patients must consume a very low-calorie, low-carbohydrate diet with more than 0.5 grams of protein per kilogram of body weight per day. Daily multivitamins, as well as supplements of key nutrients such as calcium, vitamin B12, folate, thiamine and iron (for menstruating females), may also be needed. Provide informed consent to surgical treatment. Demonstrate the ability to make sound decisions. Age is not necessarily the limiting factor here. Have a supportive family environment. A medically correctable cause of obesity. A substance abuse problem within the preceding year. An inability or unwillingness of either the adolescent or the parents to fully comprehend the surgical procedure and its consequences. Current pregnancy or plans to become pregnant within two years after surgery. Also, adolescents who are currently lactating following a recent pregnancy must wait. Teens who had gastric bypass surgery showed dramatic, often immediate, remission of their type 2 diabetes following surgery, according to a study reported in the January 2009 issue of Pediatrics. In fact, many teens checked out of the hospital without any diabetes-related medications. Previous studies have shown that weight loss surgery can induce remission of type 2 diabetes in adults, but this is the first study to show that the treatment may do the same in adolescents. The new study included 78 adolescents with type 2 diabetes. Eleven teens had gastric bypass surgery at one of five participating medical centers, while the remaining 67 teens were part of a comparison group who received routine medical management for their diabetes, but did not have any surgery. Extremely obese teens who underwent bariatric surgery had an average 34 percent reduction in weight one year after surgery, with all but one seeing their type 2 diabetes disappear. In comparison, obese teens who were medically managed saw their weight remain essentially the same, and all were still taking medication for their diabetes. The teens that had gastric bypass showed other improvements too, such as lower blood pressure and cholesterol levels. 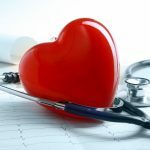 Teens suffering with metabolic syndrome — which greatly increases their risk of heart attack, stroke and diabetes — who undergo Lap-band surgery may be cured as a result. The findings were presented at The Endocrine Society’s 91st Annual Meeting in Washington, D.C. In the new study, 24 morbidly obese teens who had Lap-Band surgery showed significant decreases in their BMI, their waistline and blood levels of an inflammatory marker called C-reactive protein, six months after the weight loss surgery. These improvements in metabolic syndrome symptoms lasted for at least one year. In fact, five of the teens who were followed for one year had been diagnosed with metabolic syndrome before the surgery. Of these, just two still had metabolic syndrome one year later, the study showed. Exactly which weight loss surgery is best for teens is not yet known. Both the Roux-en-Y gastric bypass and adjustable gastric banding have been effective in treating adolescent obesity. During gastric banding, an adjustable band is placed around the stomach to restrict food intake. In contrast, the Roux-en-Y-gastric bypass creates a small stomach pouch to curb food intake by stapling a portion of the stomach. Then a Y-shaped part of the small intestine is attached to the stomach pouch so that food can bypass the duodenum (the first part of the small intestine, located between the stomach and the middle part of the small intestine, or jejunum). Unlike gastric bypass, which involves cutting or stapling the stomach to permanently decrease its size, the Lap-Band is adjustable and, if necessary, removable. The rate and amount of weight loss also differs. The weight loss from gastric bypass is very rapid, occurring in the first nine to 12 months. It tends to plateau after 18 months. Weight loss with gastric banding, however, is more gradual. Adolescents who undergo gastric banding lose about five to 10 pounds a month. Teenagers do lose weight faster with gastric banding compared with adults who undergo this weight loss surgery, possibly because they are more motivated and receive more positive social feedback. Weight loss surgery is risky business. Although these procedures can result in substantial weight loss, the long-term effects among teens are unknown. A recent study offers up some good news. It shows that the risks are no greater in teens than they are in adults. In fact, adolescents who undergo weight loss surgery have fewer complications and a faster rate of recovery than older patients, according to research published in the March 2007 issue of Archives of Pediatrics & Adolescent Medicine. Risks vary based on choice of procedure. Certain risks can be reduced. For example, the doctor can provide a vitamin supplement regimen to help prevent nutritional deficiencies. Specifically, menstruating girls who undergo this weight loss surgery should take extra iron and vitamin B-12, as mentioned above, to prevent anemia. Oftentimes, adolescents undergo weight loss surgery during school breaks. The down-time for gastric banding is much shorter than for gastric bypass surgery: people who undergo gastric banding are fully recovered within a week, so gastric banding can be done over Christmas or spring break. The more invasive gastric bypass surgery might be reserved for the longer summer vacation. Along with the physical recovery from surgery, adolescents must also use this time to get used to eating solid foods. During the recovery period, they have to slowly reintroduce solid foods, starting with a liquid diet, then on to pureed food and finally, solids. This process takes longer for gastric bypass surgery than for gastric banding. Within four to six weeks, all patients are eating solid food regardless of which surgery they choose. Some physical restrictions also exist during the recovery period, such as avoiding heavy lifting and gym class for about a month. Most adolescents who undergo weight loss surgery look forward to returning to school after surgery. They may look and feel different. Once they return to school, they find that they are not teased anymore. Surgeons and parents report that the vast majority of adolescents who undergo weight loss surgery are so happy, that their personality changes for the better. The journey is not over after weight loss surgery. Far from it. Some teens may need body contouring surgeries to get rid of the excess skin and flab that remain after massive weight loss. Unlike their peers, teens who have undergone weight loss surgery must be hypervigilant about what they eat, when they eat and how they eat it. Teens often want to fit in, and such regimented eating may make them stand out. Long-term medical and psychological follow-up is also necessary after weight loss surgery. It is no quick fix. Weight loss surgery involves a deep commitment and intensive follow-through. In the right adolescent, however, weight loss surgery can improve overall quality of life and self-esteem. Many of the questions regarding weight loss surgery in adolescents may be answered when the Teen Longitudinal Assessment of Bariatric Surgery (LABS) study, begun in 2006, is completed. This five-year, multi-center study of 200 adolescents aims to determine if weight loss surgery is an appropriate treatment option for extremely overweight teens. Stay tuned. U.S. Department of Health and Human Services website. The Surgeon General’s Call To Action To Prevent and Decrease Overweight and Obesity. CDC website. About BMI for Children and Teens.